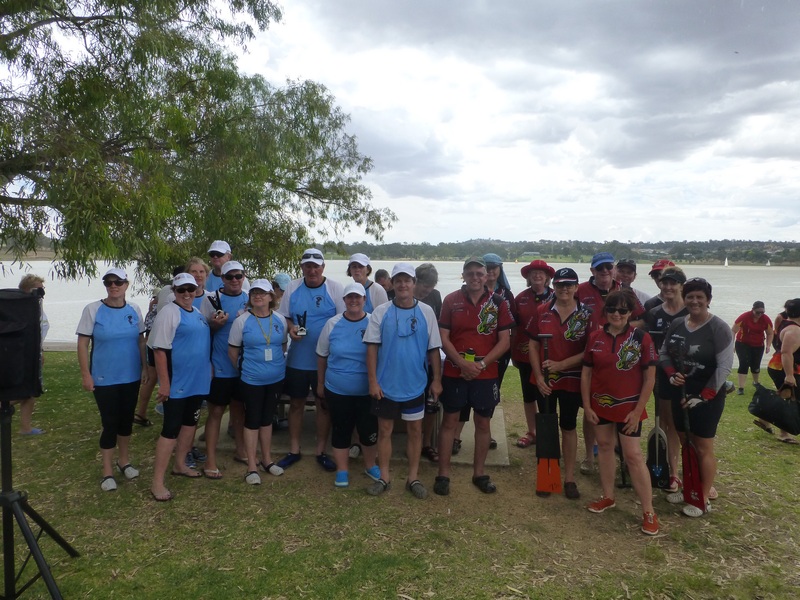 Members of the team who travelled to Wagga Wagga last weekend are still smiling following a great day of paddling.Thanks to everyone involved especially to Phil and Lynette who juggled our teams with great aplomb. 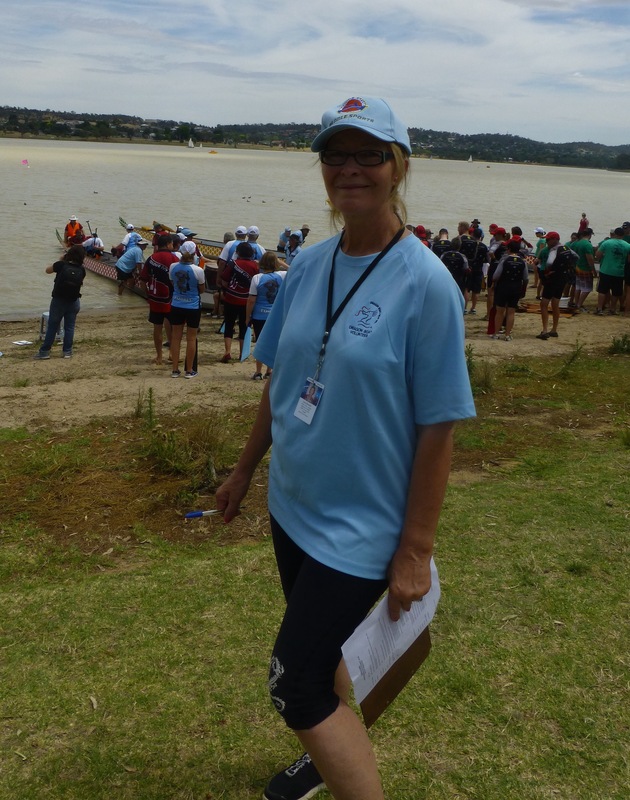 And wasn’t it wonderful to head to the marshalling area to be met by our ‘own’ volunteer, June. 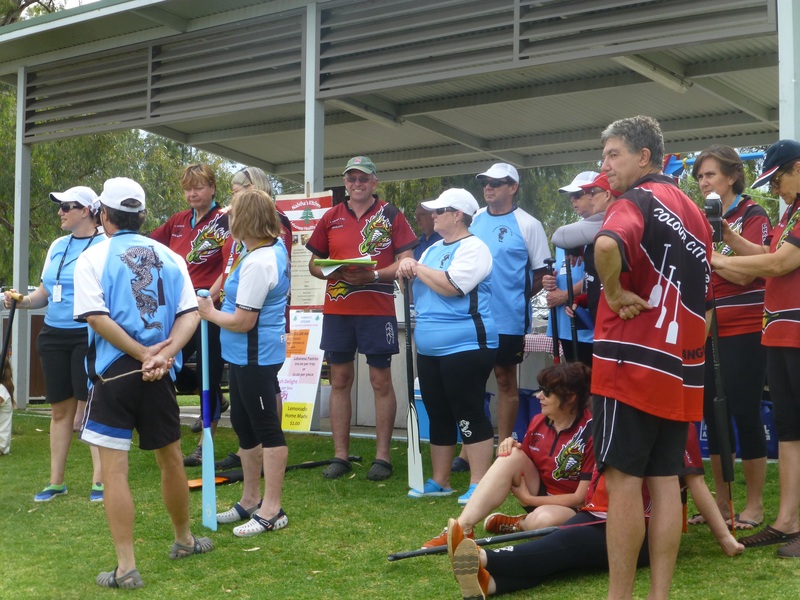 Partnering with the Lachlan Dragons (Forbes) in all races plus the Albury Warriors in the women’s races we made all 3 finals and came away with a second (men) and a third (women’s). All races were close, especially the mixed which you ‘could have thrown a blanket over’ all 4 boats at the finish.Sean is to be congratulated for his brave sweeping (it was very nearly deja vu in the first mixed race with the Snow Dragon’s sweep heading for the wrong buoy). our marquee – what a stand out it is – everyone knew we were there. the sense of joy and general gorgeousness that surrounds us! If you haven’t put your name down for Chinese New Year (28th Feb next year) please do so in the next week as entries are due soon. 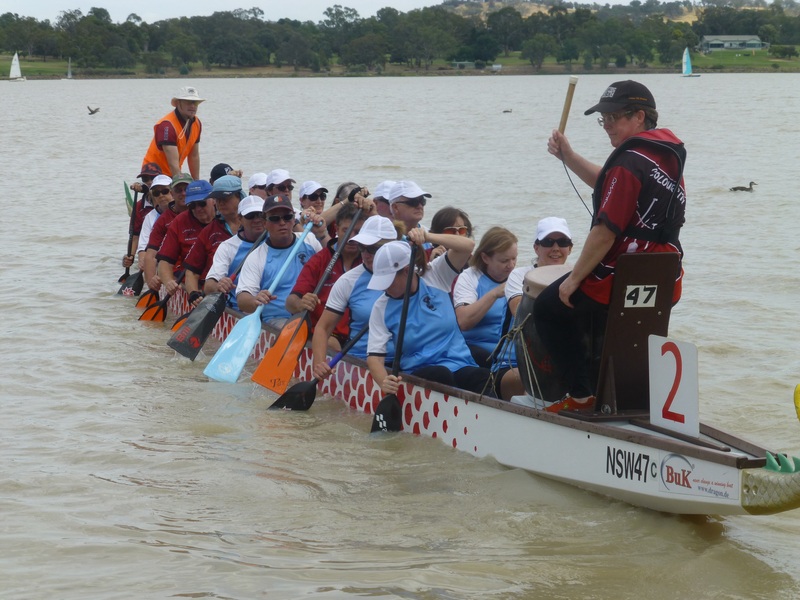 We are also considering either taking a team or a group of volunteers to the Nowra regatta on the 10th January. An EOI sheet will be a training or just let either Phil or Lynette know.